Compressed air equipment does not handle low temperatures very well. In fact, it’s key to the operation and efficiency of your compressor that the ambient temperature remains above five degrees at all times. 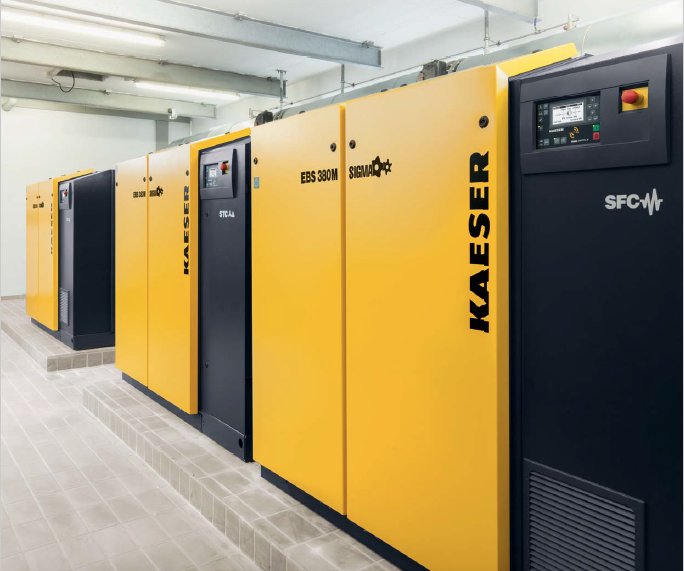 Read on to discover how you can manage your compressed air storage facilities and discover tips on the optimum climate for your compressed air. In short, the answer is no. But nor should valuable compressor equipment overheat. Finding the ideal temperature for your compressed air system is the key to smooth and productive operation, and there are ways to achieve this with the help of qualified engineers. Many industries run all year round, which means air compressors are subjected to temperatures of +70 degrees in busy factories. During periods of non-production, such as extended bank holidays or seasonal shutdowns, this can promote condensation problems or issues with electrics and motors. Building a bespoke air compressor housing unit will help to maintain a comfortable ambient temperature for your compressed air system, even during shutdown times. This is also useful if you run a business that requires compressed air storage away from the main building, due to limited space, for example. Glaston Compressor Services has worked with various independent businesses who were looking for a compressed air storage solution to avoid leaving equipment out in the cold. Sadlers Brewery, based in the Midlands, contacted the team to discuss the possibility of a bespoke solution. Thanks to an increase in demand, the brewery was looking for an external housing unit to avoid storing their air compressor in the cold. We ensured the unit could withstand various weather conditions and that the internal environment remained consistent. This meant that the compressor system could run effectively in all seasons, with only routine maintenance required. Ensuring correct use of condensate-control equipment will also help to reduce the level of moisture in your compressed air system. This is particularly important for the health of your compressed air system because if the ambient temperature were to drop, the chances of freezing or irreversible damage would be minimised. If you’d like more information about building a bespoke air compressor housing to avoid storing your air compressor in the cold, speak to a qualified engineer at Glaston today. We’ll happily discuss your requirements and design a storage unit to suit your business needs.